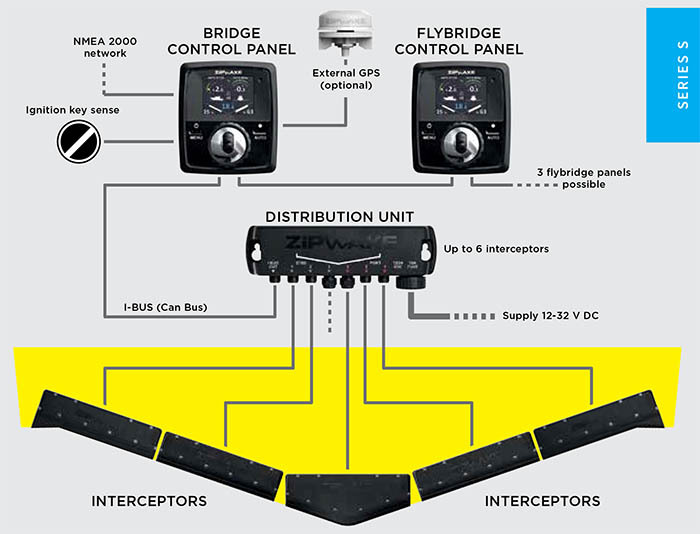 Zipwake's Dynamic Trim Control System, the world's first economical trim control system, incorporates a state of the art series of durable and fast-acting interceptors. This combination eliminates the well-known trim problems of planing and semi-planing boats between 20-60 feet. The system is fully automatic and significantly enhances performance, fuel economy, comfort and safety when accelerating, turning or running in a seaway. No corrosive materials and submersible servo units. Straight interceptors are available in 4 sizes (300, 450, 600 & 750mm). V-Shaped (450mm) interceptors for centerline mounting are perfect for filling the gap between twin outboards or sterndrives, as well as dual propeller tunnels. Four V-shaped models cover dead rise angles effectively between 11° to 24°. 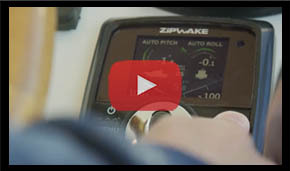 Download the newest version of Zipwake software here, then click here & follow the steps for installing. PMY Magazine tests Zipwake Interceptors & they're surprised. 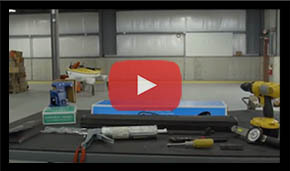 Zipwake is a relatively easy installation with big rewards. Check out the difference Zipwake can make on your boat.